I definitely responded to both on this tweet through twitter, but my response prompted me to write this post because you people need to know about this. There is a fond spot in my heart for a couple of WWE wrestling games on Playstation2. Namely the Smackdown games released between 2002 and 2003. For years leading up to this time period, WWE allowed you to create your own wrestlers. You were able to customize their look and maneuvers. You could have a lot of fun doing this, as they included move-sets to create wrestlers that were missing from the game for contractual reasons. 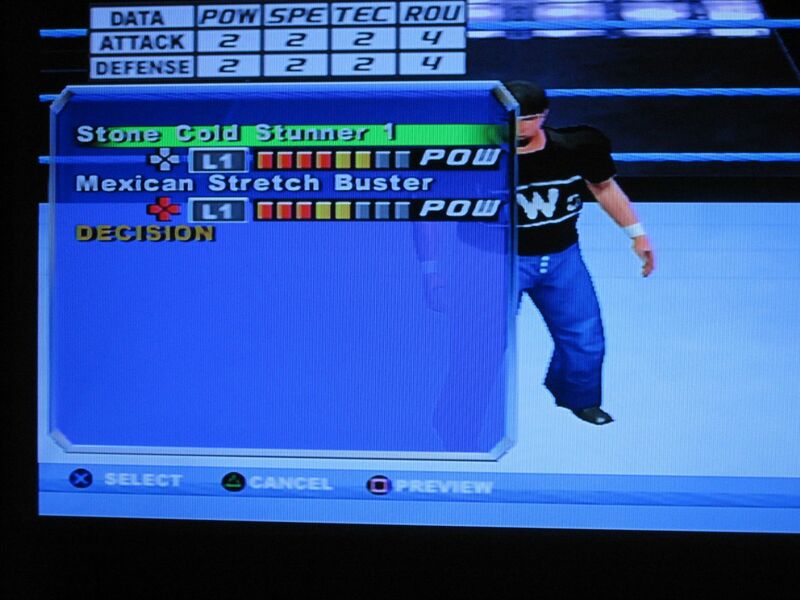 There were websites dedicated to engineering the appearance of the wrestlers using the clothing that was in the game to actually create accurate wrestlers. 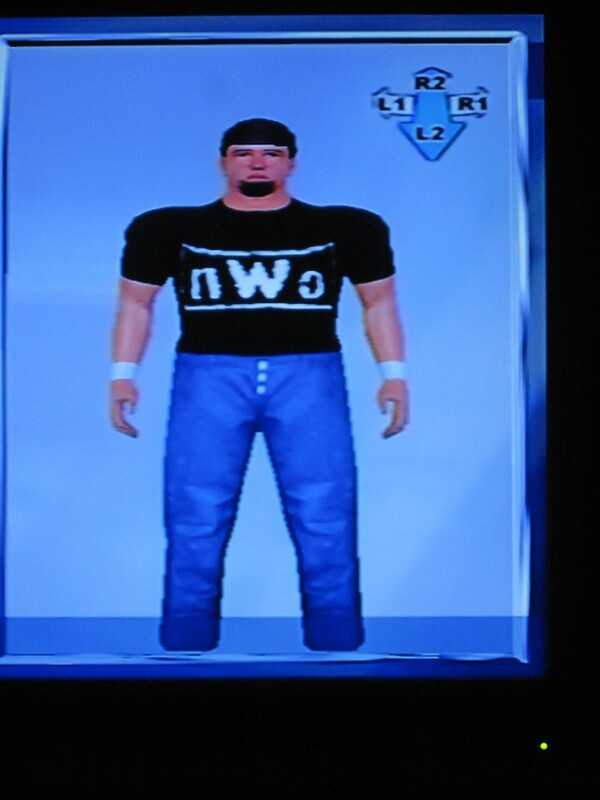 In two incarnations of the game, they included enough clothing options to create an nWo t-shirt. As a result of this, I created characters based on myself in two incarnations of the game. Today, only the game save file from one game exists, but I thought I would share what I used to do in these games with the create-a-wrestler feature. So in WWE Smackdown! Shut Your Mouth, I created a wrestler named “Jerry Awesome,” I gave him a brawler’s moveset and a couple of finishing move gems. I’m gonna let some pictures and youtube videos speak for themselves. Remember, when you watch these videos, you have to grunt “OHHHHH!! !” at the point of impact. And you also better believe that in the next version of the game, when they actually had the nWo back as a storyline and included the theme music, that Jerry Awesome walked out to that. It really added to the re-playability for me to have this feature in the game. I followed this video game series for a few years after this, but once the wrestlers started becoming generic in real life, the video games became harder to get into. Because it was literally like me just beating up other people and not the legendary wrestlers that I grew up idolizing. Consider this little nugget a peek into what goes through my mind when I play wrestling video games. Who is your favorite personalized wrestler? Back in March, I dug out my N64. Hahahaha Crippler Crossface, just like real life!! !